Katarzyna Bitka is an active and ambitious young professional, currently working as a Policy Officer at the European Commission‘s Directorate General for Research and Innovation in Brussels. Previously, she studied European Economic Studies at the College of Europe in Bruges, Belgium, and International Economics at Warsaw School of Economics. As the Paderewski Scholar, Katarzyna worked at the Polish Embassy in the US in Washington D.C. and in San Francisco, where she researched the European institutional and entrepreneurial presence in Silicon Valley. As a student, Katarzyna worked for a year for the Royal Danish Embassy in Warsaw, carried out consulting projects for internationalization of SMEs and cooperated on scientific projects with the Polish Academy of Sciences. 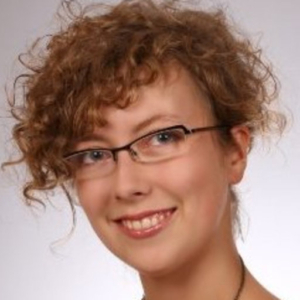 She is currently leading the team working on innovation policy reform proposals within the "Młodzi Reformują Polskę;" project; previously she initiated a number of student initiatives, including the College of Europe Business Club and the flagship "Action Diplomacy" project within Students’ Foreign Affairs Association at Warsaw School of Economics.